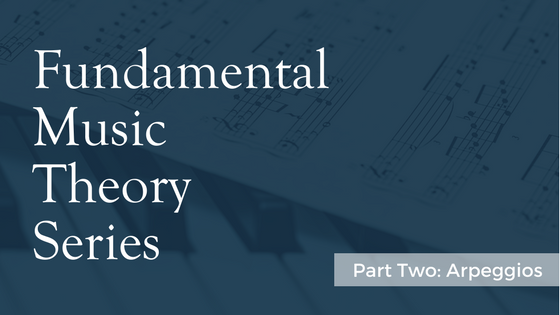 Last week we spoke about a bit about the E minor scale as it relates to my music. This week we are going to briefly talk about arpeggios because mastering them will help you master my songs, as all my songs contain arpeggios in varying degrees, configurations and keys. 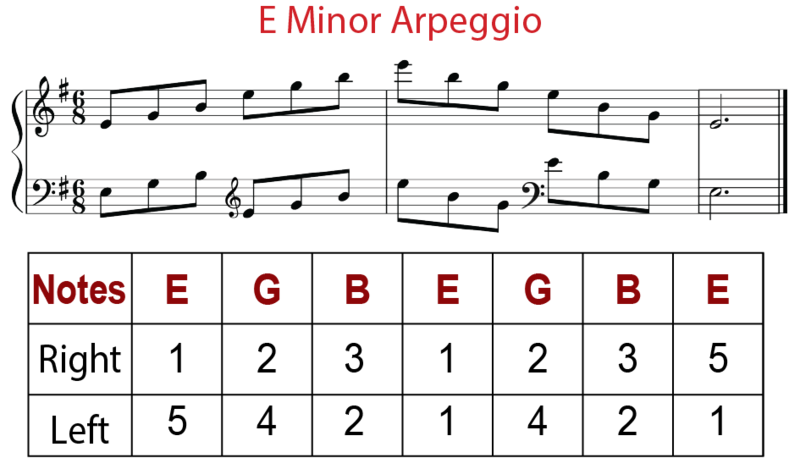 As you can see, the E minor arpeggio is using some of the notes in the E minor scale. In this instance, in the right hand treble clef it is first using ascending notes E G B E G B, and then using descending notes of E B G E B G E.
The left hand in the bass clef is using the notes E G B. Then moves into the treble clef again of E G B E B G. Then back to the bass clef of E B G E.
E or i is the tonic or root of the scale. So if you want to learn these songs smoothly, practice your E minor arpeggios! Play the hands separately. Left hand, then right hand. Playing just one octave. Then play them one octave hands together. After you can play both hands in one octave then start playing two octaves. Before you know it you can play E minor arpeggios in both hands using the full range of the keyboard. Keep practicing and next week I’ll cover another music theory fundamental as it relates to my music. Want to Apply Your Knowledge? Complete the form below, and I’ll send you a free, downloadable, printable PDF of my sheet music for “Wanderlust” so you can work through what you learned!